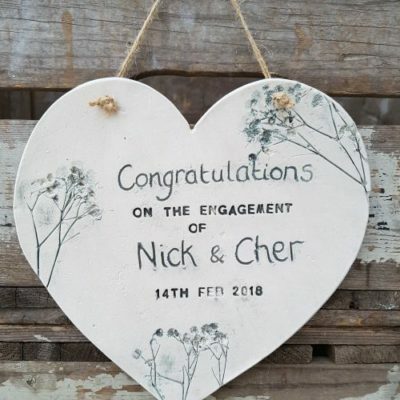 My unique style of work will capture the personalised theme of your wedding and will add character, keeping all of your guests talking! 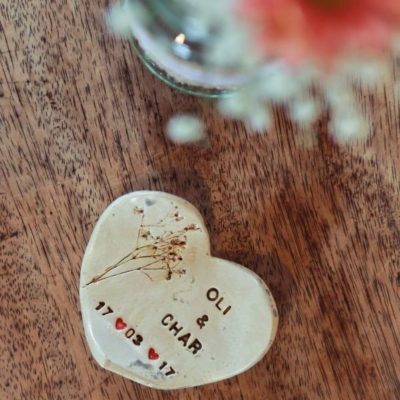 Whether your theme is delicate, natural, rustic, shabby chic, or floral, each handmade ceramic piece has a story of it’s own to ‘wow’ your guests. Please click on the images below to be taken to more information about each piece. 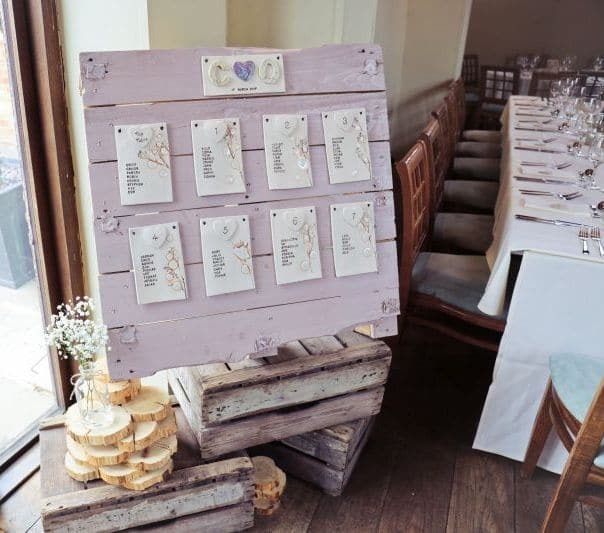 Looking for a really different seating plan idea? 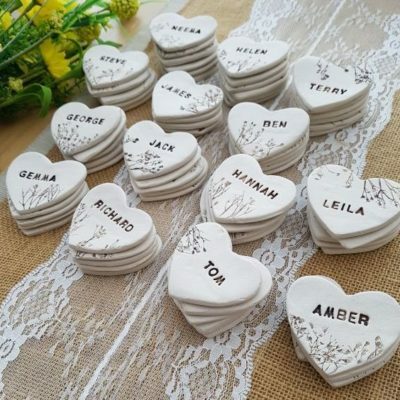 Individual ceramic tiles with guests names stamped into them make a lovely alternative to the usual printed cards. Hang them on a pallet or as you wish! Each tile measures approx 18cm x 12cm. Please contact me for quotes, indicating the number of tables required. 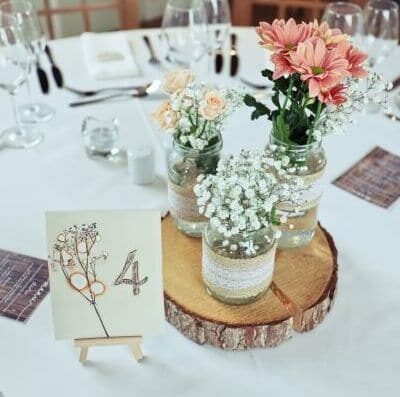 A list of names for guests are required no later than 6 weeks before the wedding date. As a Bride myself (married in March 2017), I understand how important the finer details of a wedding can be. I am happy to discuss ideas to create the perfect finishing touches for your special day. 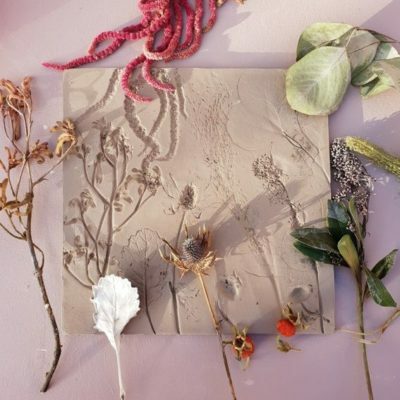 Each piece is lovingly handmade in my studio, and takes about 3-4 weeks to complete. Depending on the size of your order, more time may be needed. View more examples of wedding items I have made in my wedding gallery.